The help for this topic is still a work in progress. The GUID of the selector is shown here. The GUID is copied to the clipboard. Select the desired control for the data source. Select the desired parameter for the data source. 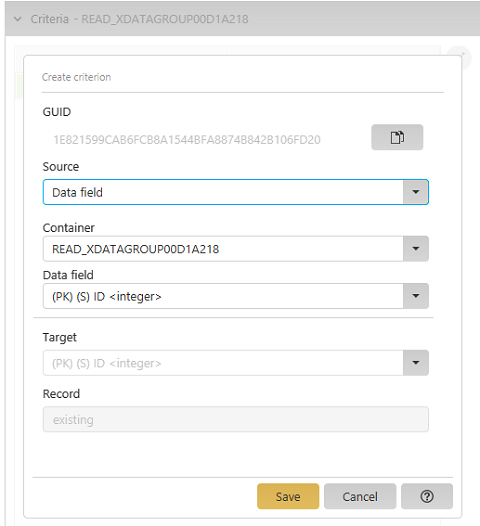 Select the desired ReadContainer and data field for the data source. Select the desired session variable (or request parameter or variable from the processing context, respectively) for the source. A static character string can be entered as the source here. Velocity script, which provides the source value, can be entered here. 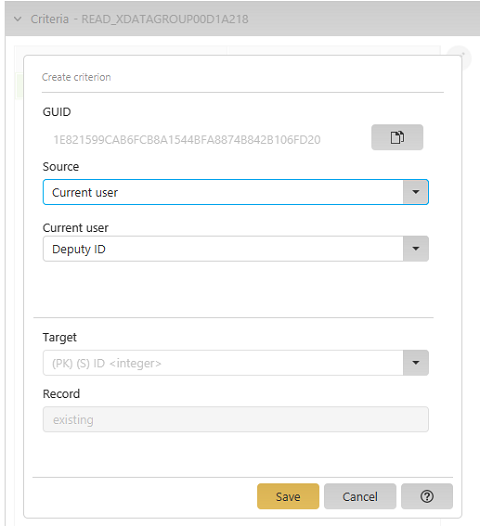 Select the desired field from the User Manager that should be used as the data source. Select the desired application and data field from the system data group that should be used as the data source. Enter the name of your parameter here. The target of the selector and the status of the record, which will be filtered, is shown here.